An encrypted solution for every user. Kingstonâ€™s UV500 family of solid-state drives dramatically improves the responsiveness of your existing system with incredible boot, loading and transfer times compared to mechanical hard drives. 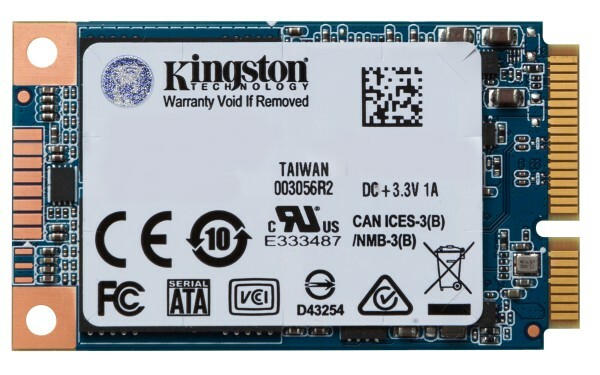 Powered by a Marvell 88SS1074 controller combined with 3D NAND Flash for read and write speeds up to 520MB/s and 500MB/s*, this SSD is 10X faster than a traditional hard drive for better performance, ultra-responsive multi-tasking and an overall faster system. UV500 provides end-to-end data protection, supports 256-bit AES hardware-based encryption and TCG Opal 2.0 security management solutions. More reliable and durable than a hard drive, UV500 is built with NAND Flash semiconductor memory. There are no moving parts, making it far less likely to fail than a mechanical hard drive. It is also cooler and quieter, and its shock and vibration resistance makes it ideal for notebooks and other mobile computing devices. UV500 is available in multiple capacities from 120GBâ€“1.92TB,** so you can buy one to use as a boot drive, or take advantage of the larger capacities to store videos, photos and host your most frequently used applications. * Based on â€œout-of-box performanceâ€ using a SATA Rev 3.0 / PCIe 3.0 motherboard. Speed may vary due to host hardware, software and usage. IOMETER random 4K read/write is based on an 8GB partition. ** Some of the listed capacity on a Flash storage device is used for formatting and other functions and is thus not available for data storage. As such, the actual available capacity for data storage is less than what is listed on the products. For more information, go to Kingstonâ€™s Flash Guide at kingston.com/flashguide.